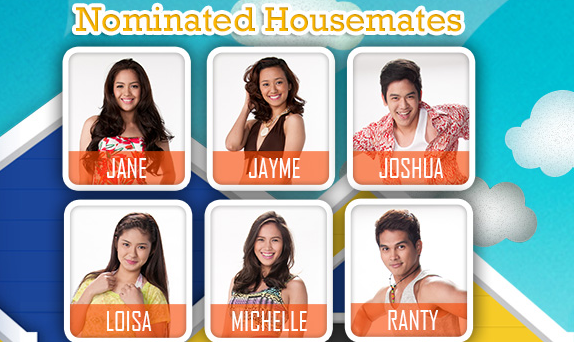 Home AINA SOLANO AXEL TORRES EVICTION JANE OINEZA JAYME JALANDONI JOSHUA GARCIA LOISA ANDALIO MICHELE GUMABAO PINOY BIG BROTHER RANTY PORTENTO TELEVISION Pinoy Big Brother All In 5th Eviction Night: Ranty Portento evicted! Pinoy Big Brother All In 5th Eviction Night: Ranty Portento evicted! Pinoy Big Brother (PBB) All In has just held its 5th Eviction Night Saturday, June 21, 2014. Six (6) housemates were up for eviction: Jane Oineza, Jayme Jalandoni, Joshua Garcia, Loisa Andalio, Michele Gumabao and Ranty Portento. It was the 2nd time to get nominated for all of them, except Jayme who was nominated for the 1st time. Who left the Big Brother house? 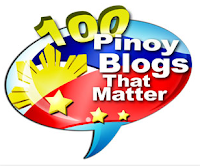 As announced by host Toni Gonzaga, the voting public has decided! Declared SAFE was Jane, who got a big 45.40% of the votes, while the first to be EVICTED was Ranty, who got the least number of votes, 5.18%. Ranty is a former seaman from the Quezon Province, who once joined GMA 7's StarStruck V and made it to the Top 60. Now, who owns these votes? Two more among Jayme, Joshua, Loisa and Michele will be evicted, and they will be revealed during tomorrow's eviction, June 22. Based on this blog's popularity poll results as of latest, the housemates most likely going to get evicted are Jayme and Joshua. Do you guys agree? The poll however wrongly predicted Aina Solano as the one going to be evicted during the 2nd Eviction Night, and not Axel Torres. (It was a shocker actually.) Aina though was later evicted during the 4th Eviction.